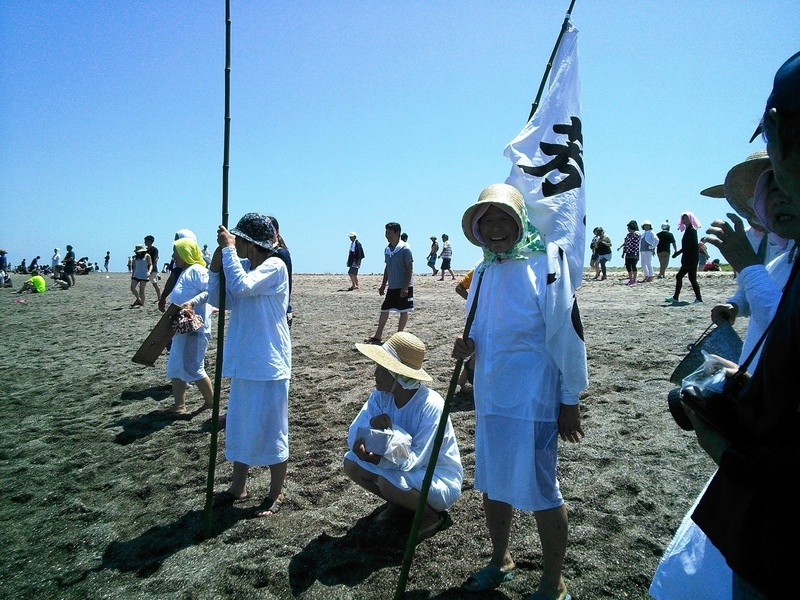 Locals worship a goddess of the ocean in this area. After fishermen and female divers pray for the safety and a good catch offering abalone and fish they have caught on the day, they splash the sea water on each other or onto the boat or even throw other people into the sea. This festival has traditionally continued over 800 years. If you stay close, you may want to join in the splashing!? There are some stage events, fireworks, drums concerts and food stalls at the festival square. All the fishermen go out fishing early in the morning on the festival’s day and offer their catch to the shrine and pray for good catches and their safety for the coming year. The female divers clean themselves up and pray to the shrine showing the spirit of cleansing, which has continued amongst the locals for many years. Splashing each other shows their idea of cleansing themselves of uncleanliness, which is typical of the fisherman’s village and it comes from a legend that the ship makes the first splash brings in a big catch. Come and join our unique festival. 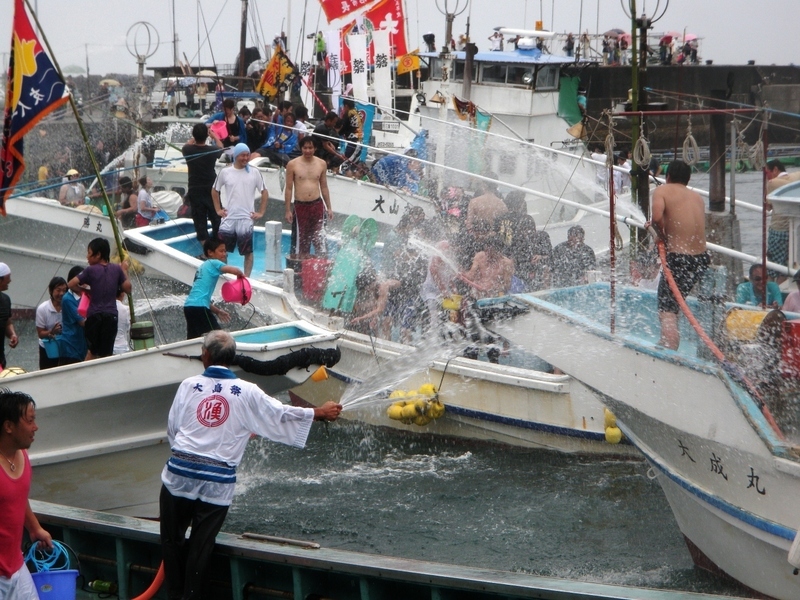 Timeline of Fishermen splash water at each other, unique festival "Shiokake Matsuri"